This post is sponsored by Eckrich Smoked Sausage. All comments and opinions are my own. There are a few foods that I try to keep on hand at all times. These are what I call my go-to foods. You know, convenient foods that can be turned into a tasty meal with almost no effort. Pasta is on my list…I can whip up spaghetti and meatballs anytime and my guys will be happy. Canned salmon is another item that I always have handy. It’s inexpensive and salmon patties are super quick, tasty and easy to make. Eckrich Smoked Sausage is also on my list of go-to foods to keep on hand. I love the fact that it has a long shelf life so that when a sale happens, I can load up and have plenty for meals over a long period of time. It’s also incredibly versatile…I can’t even count how many different ways I use it for a tasty meal. 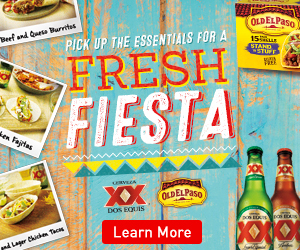 Everything from jambalaya to sausage and peppers, casseroles, red beans and rice, quiches…the list just goes on and on. Plus, I can create easy meals with just what I have on hand. I just rummage through my fridge and pantry and in no time, I have the makings of a tasty meal. Of course the main reason that I love it is because it tastes amazing. No matter how I prepare it, I know my guys will be happy with the meal that I put on the table. 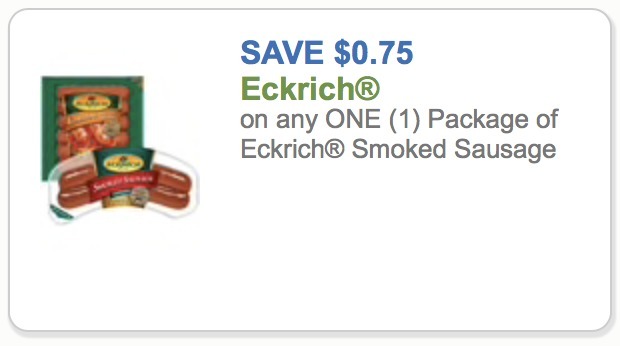 I have great news—we have a fantastic deal on Eckrich Smoked Sausage right now at Publix! With the sale and coupon in the new Advantage Buy flyer you can get packs for just $1.50. PLUS, some folks will find a printable coupon that can be added in to bring that price down to just 75¢. 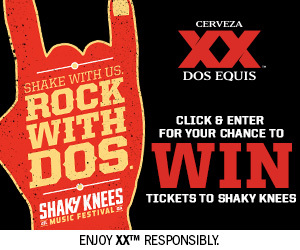 The printable is a regional coupon so you’ll have to see if you have it. 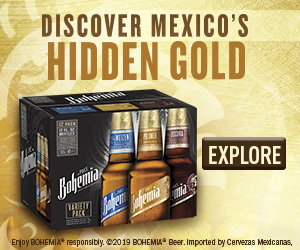 You better believe that I am going to stock up over the next two weeks. I can’t pass up this kind of deal on one of my go-to foods! Eckrich Smoked Sausage is Naturally Hardwood Smoked and crafted with just the right blend of spices for a truly rich, savory taste. 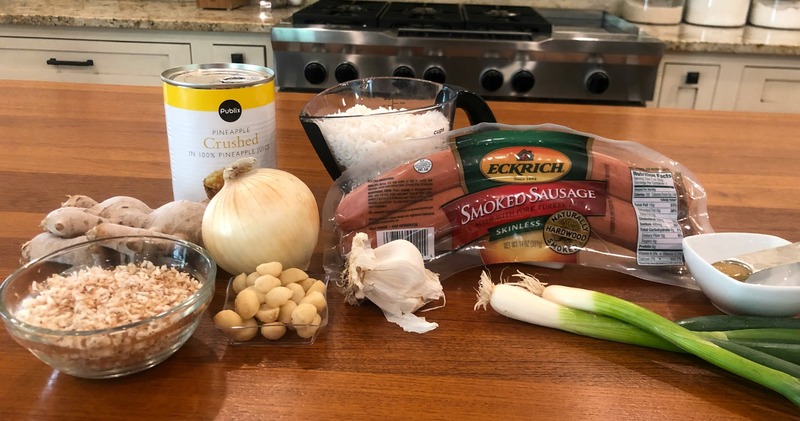 Try the smoked sausage on the grill, in a favorite casserole or to give a delicious zing to mac n’ cheese. Heck, I bet if you check your pantry you have the makings of a dozen different tasty meals. 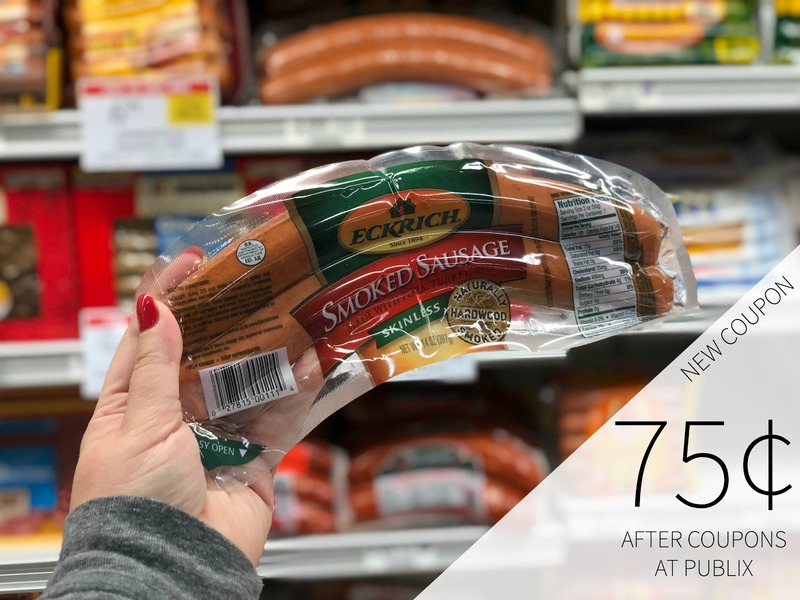 Be sure to stock your fridge with lots of delicious Eckrich Smoked Sausage during the Publix sale and have it handy so you can create something tasty for your family whenever you need it. 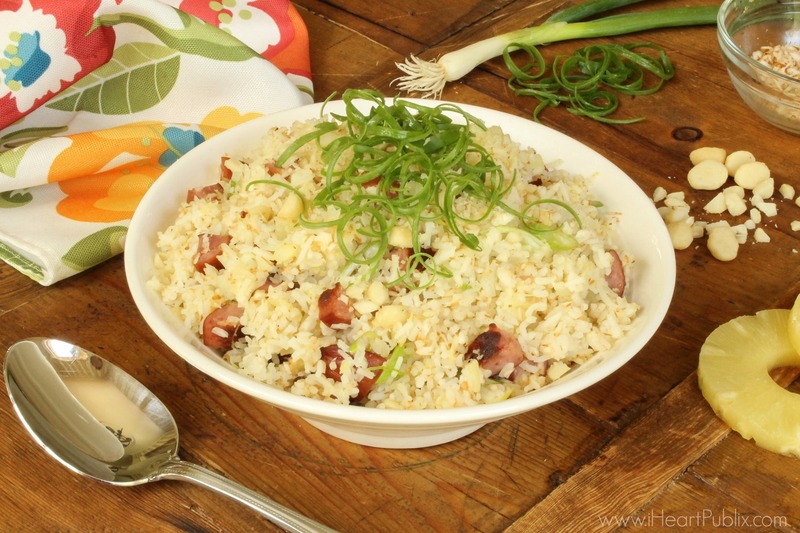 If you need some recipe inspiration, try my Hawaiian Luau Rice with Smoked Sausage. It’s a family favorite at my house. The combination of the pineapple and sausage pair perfectly- it’s a meal that you family will devour! You’ll also love the fact that this one can be on the table in about 20 minutes. Who can pass up a quick and delicious meal that comes together with almost no effort? Try it and let me know what you think. I hope your family loves it as much as mine does. Slice Eckrich Smoked Sausage Rope in half lengthwise. Place on a rimmed baking pan. Bake in 400º oven for 15 minutes. While the sausage bakes, heat oil to a medium non-stick skillet over medium high heat. Add garlic and ginger and cook for one minute, until fragrant. Next, add cooked rice, chicken base and crushed pineapple. Cook for 3 - 5 minutes until rice is heated through. Remove from heat. Cut sausage into slices and add to the rice. Mix in the toasted coconut and top with sliced green onions and chopped macadamia nuts, if desired. If you can't find desiccated coconut or don't want to grab a whole coconut and make your own...look for fresh coconut in the frozen aisle at your local Publix. Do NOT use the super sweet coconut located in the baking aisle! To toast coconut, just place in a pan over low heat and cook, stirring often, until golden.